MessyDirtyHair is currently in the process of getting re-designed & re-branded! I will be back in full force with some new exciting additions in February! How fun... excited to see the new layout! 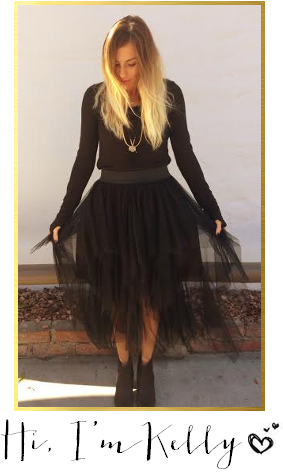 Also, unrelated... that tulle skirt is adorbs! redesigns are so exciting! Can't wait to see what you have in store!! Is it February yet?! I wanna see whatcha got up your sleeve!